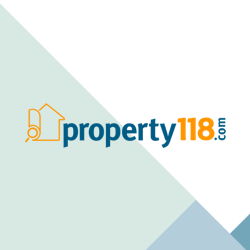 I have a property which was tenanted by the same tenant for over 5 years and they gave notice, great tenants who left it in great condition but before we re-advertised it we did some upgrading and modernising as we often do after a long term tenancy. A new tenant moved in and within 6 months she started to complain about damp and mould in the front and rear bedrooms. We inspected and found what I considered to be typical "condensation mould". We treated it but explained to the tenant the importance of keeping the property at an ambient temprature during the winter months (15 degrees) and all the usual information about venting etc. We did some checks on the flat roofs, gutters, drain-pipes, lead flashings etc to show her that we were taking things serious and we even did some pointing to the front elevation which wasn't absolutely necessary but was near enough to justify it, just in case this was the cause of the problem, which I suspected it wasn't. After a couple of months I received a notification letter from Leeds CC because she had raised the issue with them (usual story, children with asthma and bad health etc, the fact that she smoked had no bearing on this of course!). She had never come back to me to say that the problem was still ongoing, so I was flabbergasted to say the least! We had done everything possible and I was convinced the fault was hers, but Leeds Council were firmly on her side. I arranged an inspection to check over all the things previously checked and to be extra sure, I had a damp specialist meet me at the property. Just before I arrived, she sent a text to say that she had to go out and couldn't be at the property to meet us there, so I asked her if it was ok to go in, she said it was and when I went in, she had made a huge mistake! She had left the washing drying on every upstairs radiator and on the bannister rail! I took pictures, the evidence was overwhelming so I put a report together and sent it to her, laying the blame firmly at her feet. I also sent the same report to Leeds Council along with a letter asking for the removal of the notice. They wrote back saying that they could not remove the notice and said that if the tenant chose to continue the complaint, they would have to pursue the matter on her behalf, despite what I had shown them - that's what happens when you're spending other peoples money! She left three months later and since she left, that property has been rented to the same person for the past three years and I have never received a single complaint about damp from my new tenants! I'm sure a number of LL's reading this story will have had a similar experience, and there is no particular moral to this story. But what I would suggest, given the constant attack on LL's and the introduction of this new regulation is that you keep a fully documented record of all correspondence regarding repairs, ALWAYS insist that repair issues are put to you in writing and never ever take a verbal report for a repair issue and don't throw away any correspondence between you and the tenant as you might need it someday. Letters like this are written out of pure frustration and not because the writer is racist, if they have genuinely experienced these things or there is evidence that they occur, then they should be exposed and people, no matter who they are should be able to write about it without fear of being accused of being racist, I think most are fed up with that being used as a reason to stop a debate! It is obvious to anyone who is a landlord that there is now an all out attack on landlords, most of it is desguised as “protecting the tenant” but is really there to frustrate the landlords legal right to gain possession of THEIR property, yes, their property!